Our filters are very well suited to all sorts and sizes of cooling towers. As there are many different size of cooling towers, there are many different filters to suit. 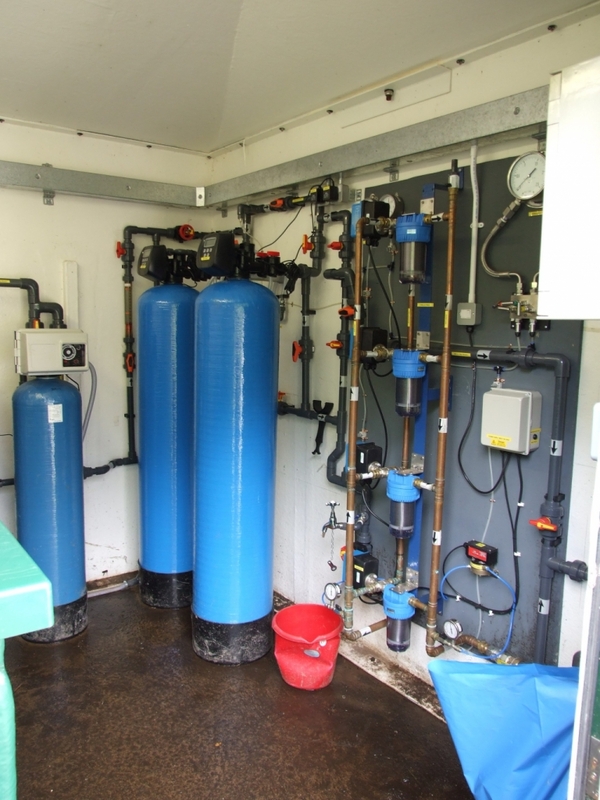 EasyClean filters have been fitted to small cooling towers, and S2000 filters have been fitted to larger towers. 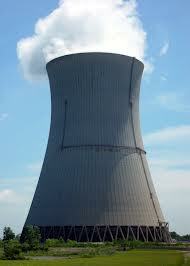 The need to keep cooling towers clean has been known for years. Clean water requires fewer chemicals, and allows chemical free systems to operate more efficiently. Some systems just use the filters to clean the incoming water, where the source is of poor quality, but usually it is best to filter at least a percentage of the flow through the tower, and ideally, keep the velocity high at the return in order to keep the solids from dropping out in the tower pond. The use of automatic filters before finer units will usually save money and water and will usually improve the efficiency of the fine filters. Membrane filters usually work far better if the incoming water is filtered down to 50 microns before the membrane. Many systems use bag or cartridge filters to remove solids, and an automatic filter from TCF can increase the life of those disposable filters, therby reducing costs. 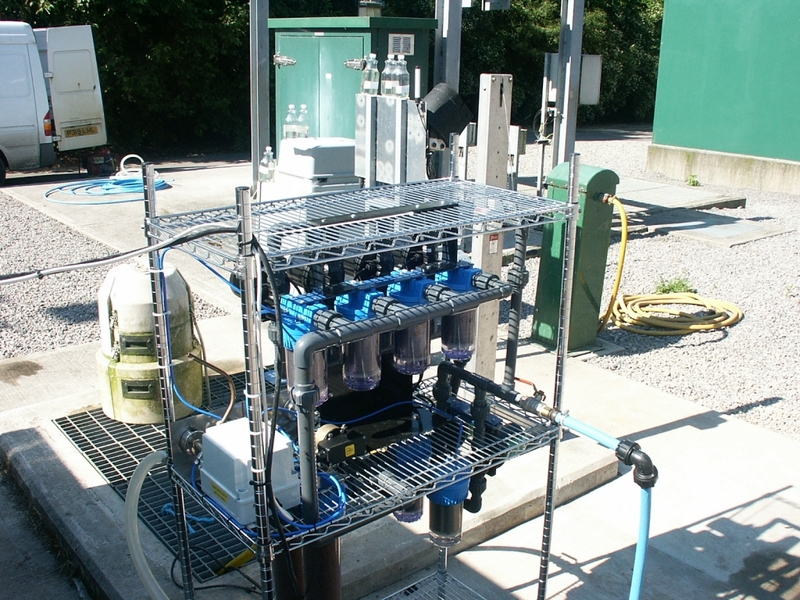 The unit shown here is a small EasyClean arrangement used to pre-filter the media filters to the left, which otherwise would block very quickly. The site is remote and manual intervention very expensive. 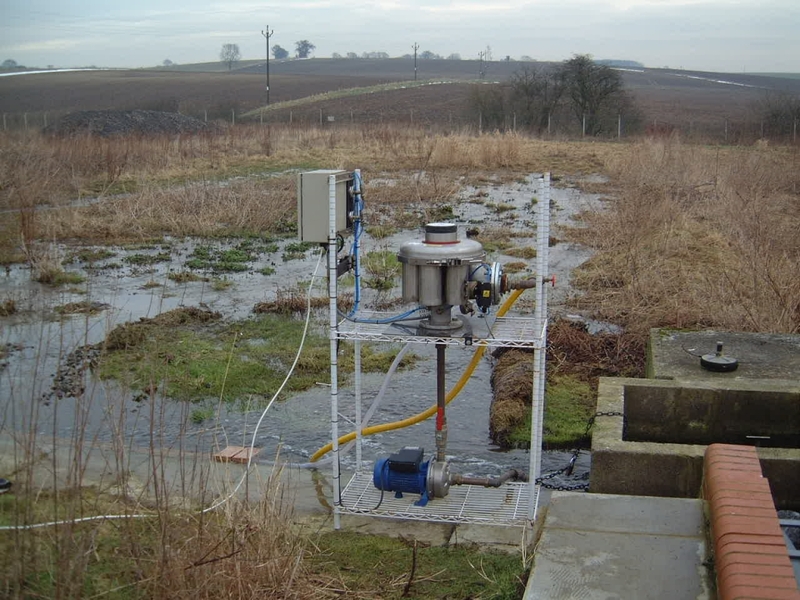 Final Effluent can be used in many applications as an alternative to mains water or other sources of water, as long as any larger particles are removed. 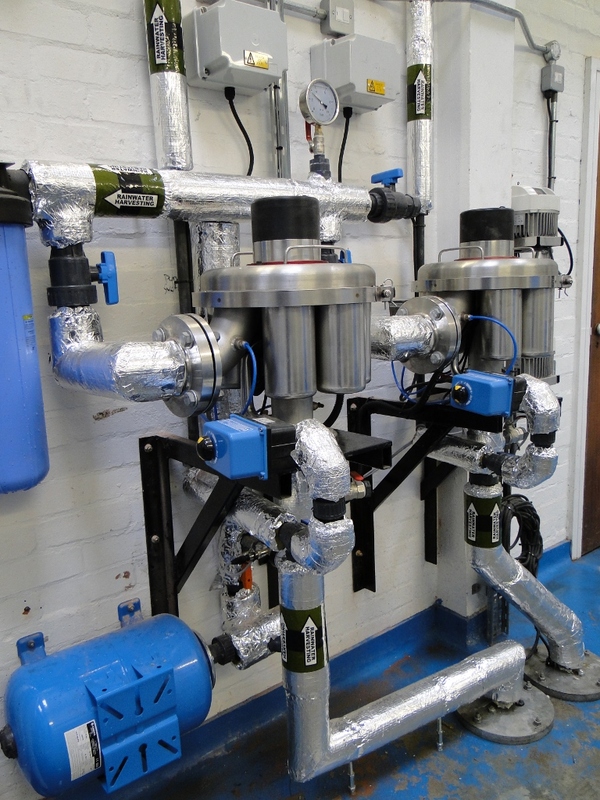 TC Filters can provide a good range of automatic filters to protect systems using final effluent. The biggest use of these filters is to protect nozzles from blockage, especially at the primary screens. Also common is the re-use of final effluent for irrigation or wash down. The re-use of rain water (or rainwater recovery) has become very important in recent years. Using rainwater has many advantages, apart from being free, it is also naturally soft and so improves upon mains water which is very hard in some areas. Both the EasyClean and Phoenix have been used for rainwater systems. As "everlasting" units, they fit well with the ethos of rainwater recovery, and indeed most eco-projects. TC Filters can provide filters for use in rainwater systems which will protect valves and other equipment from blockages caused by airborne particles. The unit on the right is used on a large government building as part of a major system for recycling rainwater. Irrigation water can often be used straight from whichever source is used, but many dripper systems are susceptible to blockage from larger particles. TC Filters can provide assistance with choosing the most economical answer to your irrigation problems.